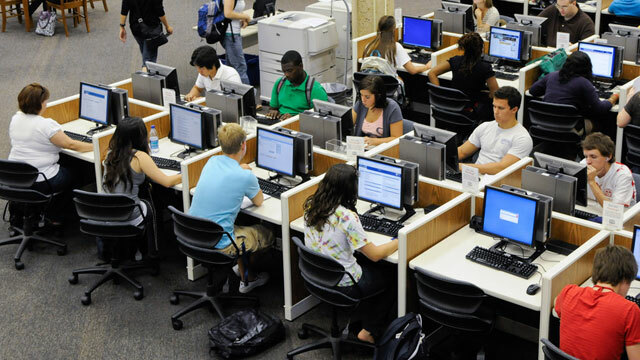 Taking Stock: Do MOOCs Work Best For Educated People? After just a few years, an explosion of interest, a lot of criticism and some iteration, the MOOC craze has recently come under close scrutiny. A recent University of Pennsylvania study of the 16 courses that the university offered through Coursera indicates that classes with thousands of students may not close the college gap as quickly as some champions had hoped. Another study conducted by Ezekiel Emanuel at the University of Pennsylvania found that 80 percent of MOOC users already have an advanced degree. Combined these studies cast doubt on the original hope that MOOCs would provide low-cost higher education to people across the world that don’t have access to traditional universities, but do have access to the internet and a motivation to learn. A collaboration between another MOOC provider, Udacity, and San Jose State University has also soured the perception that MOOCs can help struggling students in the U.S. get remedial help. San Jose State targeted underserved students with remedial MOOC-style classes because those courses are in high demand. But many of the students that need remedial help were also less familiar with computers, had unstable access to the internet and learning challenges that made it difficult for them to succeed in regular classrooms as well. Students in the San Jose State Udacity classes did worse than their counterparts in normal classrooms. Sebastian Thrun, founder and CEO of Udacity, doesn’t disagree with Hadreas, but he also doesn’t see that fact as a bad thing. “We have a lot of data that the dominant part of our students are actually people who would not partake in education and they enjoy the convenience of being able to learn at home, at their own pace,” Thrun said. He sees MOOCs playing a crucial role in helping adults retool their skill sets to meet modern workforce demands. Tech companies like Facebook are contracting with Udacity to develop in-service training for their employees because its cheaper and easier than sending them to off site trainings. A sophomore at San Jose State University called into Forum saying he had taken a Udacity computer science course through the university and liked it more than other courses he has taken. “Whenever I had a problem or question there was always someone there to answer it, which was really helpful when there was a concept I couldn’t grasp,” he said. On-demand mentoring is one way that MOOCs have been improving pass rates. “Being there at the right time, when a student gets stuck, doesn’t mean you have to spend hours and hours with that same student,” Thrun said. He estimates on average each student needed three to six hours of help over the course of the semester. But mentors found that many students had the same questions, so they could efficiently disseminate answers using Udacity’s platform. Even if MOOCs don’t end up proving to be a panacea for the rising costs of education, these initial experiments show that they could still be an important player in adult education. The skill gap in the American workforce continues to widen and being able to quickly and cheaply acquire a few new skills to become more competitive in the job market could benefit those lucky people who already have some academic acumen. A McKinsey report estimates that by 2020 85 million jobs worldwide will require skilled labor. Re-educating people who were lucky enough to get college degrees in the wrong fields won’t likely be enough to meet that demand. Which brings back the initial hope that MOOCs would be a way to educate the masses. “The motivation was very much to be able to deliver excellent education for less money,” Hadreas said of the San Jose State experiment. But, teachers who have participated in both Udacity and edX have found that course preparation and execution is time consuming and not necessarily cheaper or easier than normal classes when done well. “I want to establish an honest dialogue about what works and doesn’t work,” Thrun said. “And I want to establish a space where we can experiment with these things instead of shying away and very quickly labeling something as not working.” Two years isn’t much time to solve the world’s higher education problem, and while MOOCs have lost some of their initial sheen, as they experiment, they may come up with something better.